On December 15, Viking Cruises set sail on its very first world cruise aboard its newest ocean vessel. 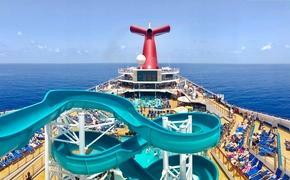 Guests embarked the Viking Sun for its sold-out 141-day itinerary in Miami, Florida. “Our World Cruises are the most extensive and culturally immersive journeys available in the industry. 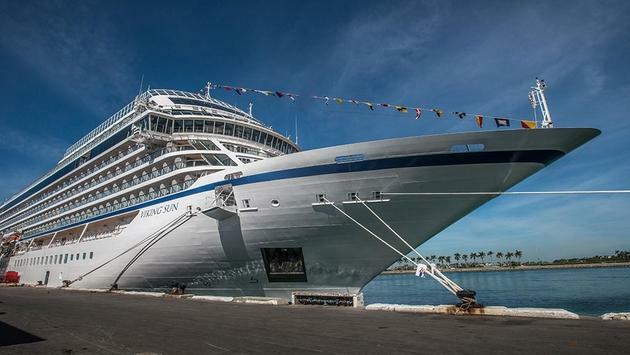 For two decades, we have continued to expand our destination-focused itineraries to new regions of the world, so as our fleet grows it is a natural progression for us to offer grand voyages of this scope for our guests,” said Torstein Hagen, Chairman of Viking, in a press release. In total, the grand route will span five continents, 35 countries and 64 ports on its way to London. It is currently exploring the Caribbean making calls in Cuba and others before transiting the Panama Canal to make a stop in Los Angeles. L.A. is the location of Viking’s U.S. headquarters and will mark the first West Coast port of call. From there, the ship will head to the South Pacific, Australia and Asia. It will be officially christened in Shanghai on March 8, 2018. The cruise will then conclude after additional destinations in Asia and Europe on May 5, 2018, in England. Onboard during the voyage will also be six casks of Viking’s own “Linje” Aquavit. Adhering to Norwegian tradition, the Scandinavian spirit will age in oak barrels during the cruise as it crosses the equator two times. The belief is that the motion of the ocean and regular temperature changes add flavor to the drink. For those interested in experiencing the journey themselves, the Viking Sun will reprise its world cruise again during 2019 on a 128-day variant also from Miami to London. The future voyage will cover five continents and 21 countries ranging from South America and the South Pacific to Australia and Africa. The inclusive experience will also offer a free shore excursion in each of 64 ports, as well as free unlimited Wi-Fi, Business Class airfare, all gratuities and service fees and more. The Viking Sun is the fourth 47,800-ton, 930-passenger sister-ship to launch behind the Viking Star, Viking Sea and Viking Sky. Four more including the newly named Viking Orion are scheduled to come online during 2018, 2019, 2021 and 2022. In fact, the vessel’s Fincantieri shipyard recently confirmed Viking has finalized the contracts for the latter two ships and exercised the option for an additional two orders—bringing the ocean fleet to the 10 Hagen hoped for. The ninth and tenth ships are on the calendar to arrive during 2022 and 2023. When the sixth ship is unveiled in 2019, Viking will have become the biggest small ship ocean cruise line—quickly and significantly surpassing itself thereafter. Not since the now-defunct Renaissance Cruises built eight small sister-ships for its own fleet has a company constructed so many nearly identical vessels. Viking is now on track to beat that count by two as a formidable industry.